Christian group gains 3 per cent over 2000 because of the sense of community and protection Churches provide. The number of single people and people with no religion is up, marriage and fertility rates are down. The percentage of Muslims is unchanged (15 per cent). Buddhism loses 10 per cent. 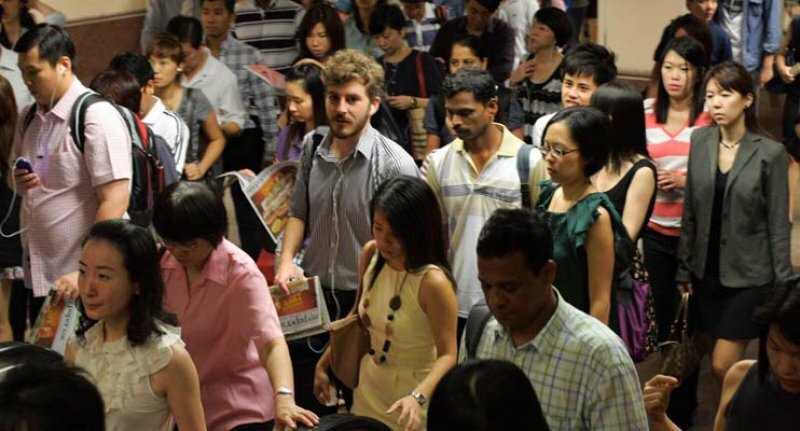 Singapore (AsiaNews) – Christianity saw the greatest increase in followers over the past ten years, this according to the 2010 government census. Christians now form 18 per cent of the population, up 3 cent from 2000. The census also reported more single people, people with no religion as well as declining marriage and fertility rates across ethnic groups. Taoism and Hinduism also reported significant growth, hitting 11 per cent and 5 per cent respectively in 2010. Islam remained stable at 15 per cent, whilst Buddhism saw the largest drop in followers, from 43 per cent to 33 per cent over ten years. Detailed figures suggest that many Christian converts are ethnic Chinese who previously followed Buddhism. The rise in the Christian population could also be affected by the rising number of permanent residents, 23 per cent of whom are Christian. Christian groups offer a sense of community that is ideal for new residents, said researcher Mathew Mathews, from the Institute of Policy Studies. Homemaker Teo Mong Geck, 54, told the Straits Times that she converted to Christianity after attending Hokkien dialect services at a Baptist church. “The words the pastor says are very reasonable,” said the former Taoist. The census also reported that one in three university graduates are Christian. However, there are more Christians with only secondary educational qualifications. Mathews told the Straits Times this could be because of outreach services in the heartlands that are offered in Tamil and Mandarin. Islam maintained its numbers, as it continues to be the dominant religion among ethnic Malays, 99 per cent of whom declared themselves Muslim in 2010. People with no religion also grew from 15 per cent to 17 per cent, a trend often attributed to higher education levels. Most worrying was the continued decline of marriage and fertility rates across all ethnic groups. Only 59 per cent were married in 2010, down by 3 per cent over 2000. Correspondingly, singlehood and divorce were on the rise. Among married females in their thirties, 20 per cent were childless, compared to 14 per cent in 2000. The overall fertility rate was 1.1 children per woman in 2010 and more females had only one child.